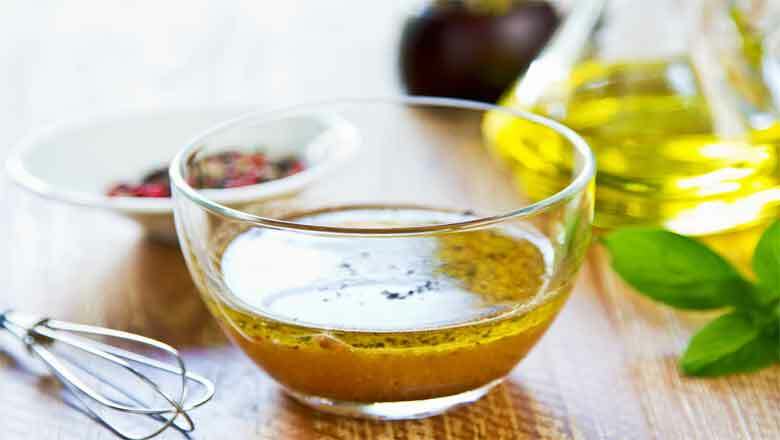 A successful vinaigrette depends on getting the right proportions of oil, vinegar and mustard to make a smooth emulsion. Follow this recipe and you won’t go wrong. Place the mustard and sugar (if using) in a bowl and season with salt and pepper. Whisk to combine. Continue whisking while adding the vinegar and then the oil. Taste and adjust the seasoning if necessary. Store in a Kilner or screwtop jar and shake well before using.